Mahindra Two Wheelers Division has launched a more affordable version of the Mojo. Called the Mahindra Mojo UT300, the motorcycle has gone on sale at an introductory price of INR 1.39 lakhs, ex-showroom Delhi. The bike has upright ergonomics and a more comfortable pillion seat. The introductory price is valid until this month, post which the bike will cost INR 1.49 lakhs, ex-showroom Delhi. The ‘UT’ stands for Universal Tourer. Mahindra has retained the crucial touring-friendly elements but has compromised on certain parts to save on costs. The front end gets traditional fork with fork brace for additional stability. The rear comes with a gas-charged off-set monoshock. At Mahindra, we have always believed in innovation and providing our consumers an exciting value proposition. 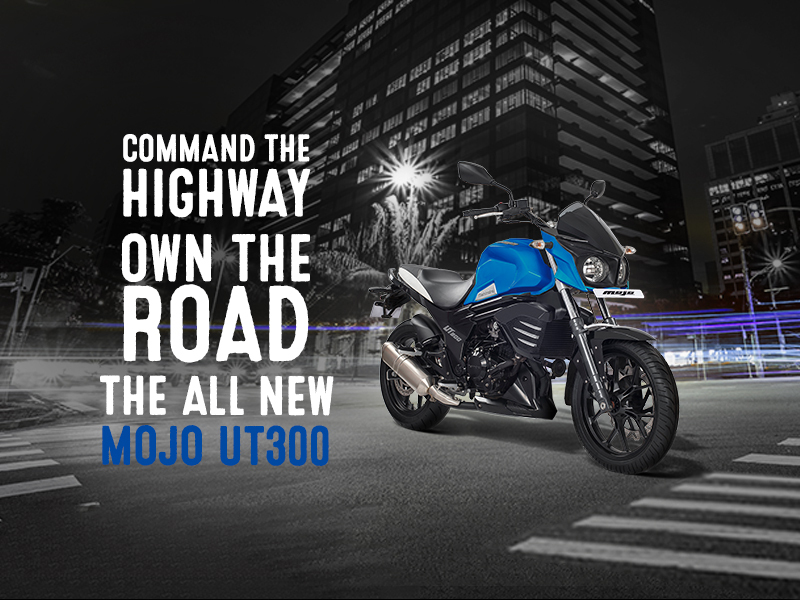 With the launch of the MOJO UT 300, we believe that we have an exciting product offering for the new age bike enthusiast. With the launch of this new variant, the MOJO will now be available to a wider range of consumers in more than 60 cities across India. The UT300 gets a single exhaust instead of the dual units in the XT300 (Xtreme Tourer). The Mahindra Mojo UT300 employs a 294.72 cc single cylinder mill with liquid cooling and carburettor. The DOHC engine puts out 23.1 PS of power at 7,500 rpm, and 25.2 Nm of torque at 5,500 rpm. 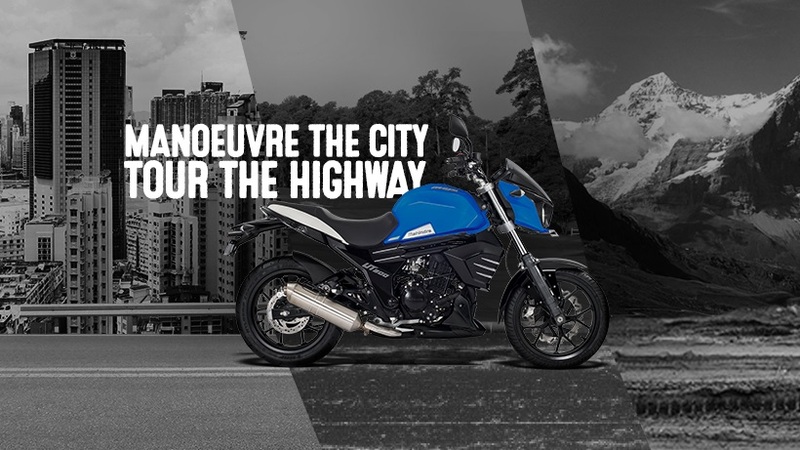 The engine pairs with a same 6-speed transmission as the fully-loaded Mojo. The engine in the UT300 makes 4 PS and 4.8 Nm less than the top-end Mojo. The bike is available in Volcano Red and Ocean Blue colours.